Create your own DIY wedding flowers at our Albuquerque do-it-yourself station. Make one piece or build arrangements for your entire wedding. From bridal bouquets and flower crowns to centerpieces and floral decorations, we can help you select the right flowers and shape them into your design. or reserve your DIY session times today. 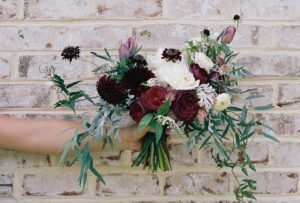 DIY wedding flowers is a great option for those with a tight budget and those wanting to add their own flair to their wedding. We will make sure you get everything you need to create your designs.You pick the flowers – single stems from our showcase, or fresh flowers in bulk. We supply basic floral supplies and expert guidance from our floral designers. When you are done, store your creations in our professional floral coolers until you need them. We will even deliver. Make an afternoon of it! Bring your best friend or bridal party. Enjoy the use of our custom DIY design space for a small fee. If creating in our shop isn’t for you, take home some of our bulk flowers and supplies and throw your own DIY wedding flower party at home. With more 300 farms worldwide we can find just the right flowers for the right price. We have popular, fresh, wholesale flowers and wholesale florist supplies. Perfect for DIY weddings — for brides and Wedding Professionals.